"Hi There"...from the little people. 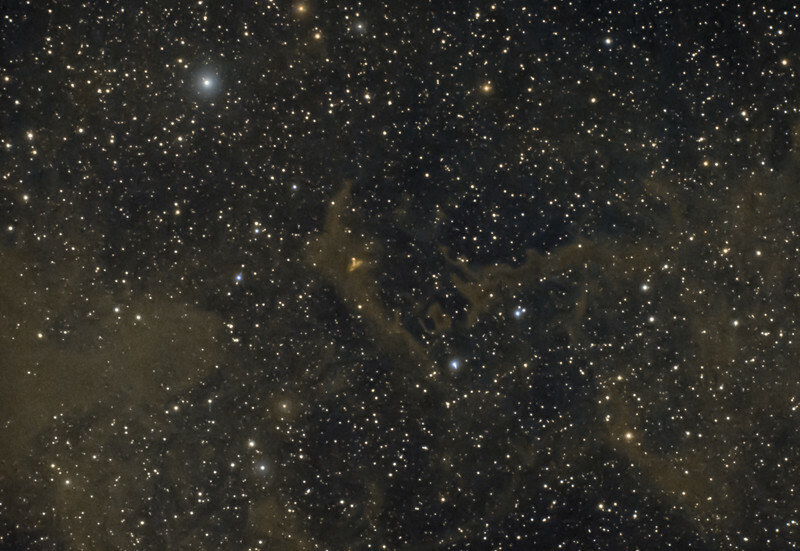 Dark dust in Cepheus, LBN552, taken with 5 1/2 hours of exposure, Canon 6d modified and TEC140 @f5.3. Taken July 10,11,14 2015 by Lynn Hilborn WhistleStop Obs, Grafton,Ontario.